Cookies usually contain the name of the server from which the cookie has been sent, the life span of the cookie, and a value – this is usually a randomly generated unique number. They do not contain any personal information or information, from which the user could be identified, as the cookie itself does not contain or gather information. Furthermore, it is not possible to determine who is using the device that is accessing the website. However, if the cookie is read by the server together with the web browser, the website can use that information to provide user friendlier services. Cookies help us to ensure a better, user friendlier and customized operation and presentation of the website. 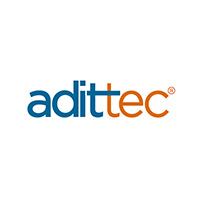 In addition, cookies help Adittec to analyse the users and keep records of their visits (for statistical purposes) and provide a more effective communication with the user. Data gathered through cookies is used to identify the user, who has already visited our website, to track the website activity in order to respond to the user’s needs, to enable automatic completion of on-line forms with the user’s personal data, and to facilitate the visit to the website in general. Cookies for storing priority selections and preferences which act as identifiers of the website’s user. Data gathered through these cookies are not shared with third parties and are used solely for the purposes of our own analysis and additional improvement of the content and functionality of the website. Cookies for recording and analysing statistics of visits and clicks on the website. For analytical purposes, we also use the Google Analytics tool. More information on cookies of the Google Analytics service and privacy. __utmz (up to 6 months). What are the settings for cookies?